Bhopal is state capital of Madhya Pradesh. A busy city with mixed cultures. I had to take bus from Omkareshwar to Indore (80KM) and then Indore to Bhopal (195KM). I had just missed the last morning AC coach that run between Indore and Bhopal operated by MP Tourism. For me journey in private buses wasn't fun anymore! I was very tired of the long tiring journey in that private bus! The bus stopped every two minutes almost anywhere there was a human standing on roadside! I reached Bhopal from Omkareshwar late afternoon. Took a budget hotel near the railway station. The room was okay but the food served in the vegetarian restaurant was good! Bhopal is a city and hence had to be careful choosing the hotel because every hotel looked sleazy. Bhopal tourist attractions include mosques in the old city and a Birla Mandir, State Museum and Bharat Bhavan in the new city area. Van Vihar National Park is in the heart of the city and the beautiful lakes are life of Bhopal Tourism. I had one day in Bhopal and I started early to visit the places mentioned in the travel guide. Taj-ul-masjid, meaning Crown of mosques, is one of the largest mosques in India. I haven't been to many mosques but, will definitely find this mosque as a crown. This mosque also runs a madrasa, Islamic school, during day time. The pink (actually orange vermillion) mosque has marble domes and very high minarets. The attractive pillars and floor design resemble Mughal architecture. It has a huge courtyard with a tank in the center. The kids were running around, some were reading and the teachers checking their work. The mosque has beautiful entrance gates. Asked few people sitting near the entrance, could be the teachers, that I could enter and take few pictures. They welcomed me with very happy smiles and said I could see around and take pictures with no inhibition. Then I visited Moti Masjid which is built like Jama Masjid in Delhi it seems. Shaukat Mahal built in European style which is occupied by local people. Sadar Manzil earlier used to be public audience hall, now houses government offices. Nearby was Gauhar Mahal which now hosts art and crafts exhibitions and also houses a Mrignayanee emporium run by Madhya Pradesh state government that promotes small scale industries. The Chanderi and Kosa sarees and suites were exquisite. I bought two cotton suites :) Nearby was GPO and I looked for new stamps and got five of them! I was happy about it because when I go to Bangalore GPO stamps are always sold out!! Then roamed around in Chowk area. Crowded streets lined with shops. Bhopal has one of the best State Museums, a must visit. It is a bit away from the public transport and you may have to take a reserved autorikshaw. I was fortunate, on the way back an officer at the museum dropped me at nearby bus station in her official vehicle. Million thanks to her! Bharat Bhavan has tribal art gallery which is worth a visit. There are two lakes Upper and Lower where boating is popular. I didn't have enough time to visit Van Vihar National Park which is a modern zoological park like an open zoo. Will visit next time. Next day early morning I took a bus to my next destination Bhojpur. Click HERE to read more articles about Madhya Pradesh. To check complete Backpacking India series click HERE. Nice photos, it looks like a beautiful city. It seems Bhopal is a beautiful gem in Madhya Pradesh in terms of the architecture! Great pictures! Lovely city of Bhopal with those great landmarks. How did you miss out the beautiful lakes, Kusum? Hmmmm, yes I did miss because I was busy shopping :) Thank you Bhatia Ji for visiting. Yes! Good city survived the gas leak! Quite an historic city, and beautiful photos. MP definetely has loads to offer. Thank you jenny! Yeah MP has hidden treasures! The structures of Bhopal look fascinating. Nice post Kusum. Thank you Niranjan! Yes, Bhopal has much to offer. 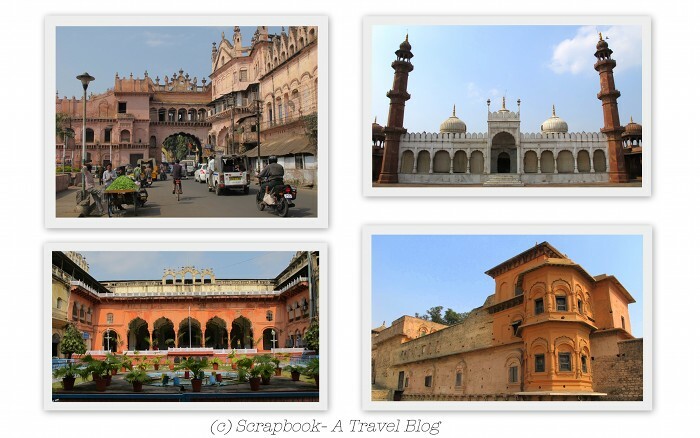 Great blog post, Thanks for sharing a beauty of Bhopal destinations. Nice Blog.. Really Bhopal is a Awesome Place to Visit..
Nice and informative blog post. I visited Bhopal last year. Such a nice place. Helpful people. I stayed at welcomheritage noor us sabah palace. I enjoyed my trip to Bhopal very much. Bhopal has many places for travling as like:- Upper lake, lower lake, jama masjid, gufa temple and more. Bharat Taxi provides you car rental services, cab services, taxi services, tour and travel services in any place of Bhopal.